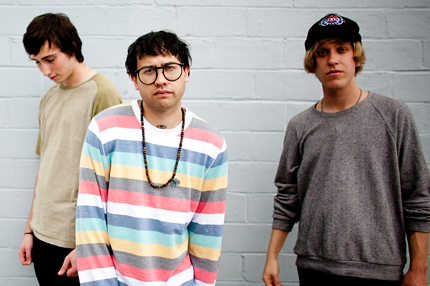 Unknown Mortal Orchestra's self-titled debut album was released on June 21st via Fat Possum. UMO really made a name for themselves in late 2010 when singer Ruban Nielson dropped their first single 'Ffunny Ffriends' on bandcamp. From that moment the song was every music bloggers dream and the band recieved their big break with signing to the Fat Possum label. Ruban Nielson is a New Zealand native who had transplanted to Portland with his band Mint Chicks. UMO was a project conceived as Ruban’s escape hatch to a new musical dimension where his vision of junkshop record collector pop could be realized in a sound that recalled Captain Beefheart, Sly Stone and RZA jamming on some kids tv theme too dark to ever be broadcast. Out of the home studio, Ruban was joined by local Portland producer Jake Portrait on bass and teenage prodigy Julien Ehrich on drums. They have been on the road all year, sleeping in ditches and running drunkenly from venues when needs be, curling ears and turning heads with their intoxicating sound all the way. 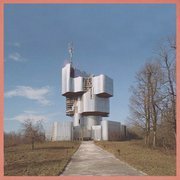 What I like best about this album and Unknown Mortal Orchestra's sound is their raw energy and sound. From their first song 'Ffunny Ffriends' their distorted/raw/garage sound only adds fuel to the fire. There are so many things happening in this song and yet you are never once distracted in your listening. It really is as the band says "a little dose of ear candy". 'Thought Ballune' was the next song that really struck a nerve with me. It gave off some major retro-psychedelic vibes mixed with hints of modern day indie, it was really the perfect mix of sounds. It is almost the type of song that you can never really put a date on - it would have sounded just as shinny and new 40+ years ago as it does today. 'Jello and Juggernauts' comes with a funky little intro, and continues with its lo-fi funkiness throughout the song. 'Nerve Damage' is the middle song and offers a more upbeat and fun type of sound that has a nice blend of funky guitar riffs, heavy drums, and those 60/70's sounding vocals. Try to find something out there today that hits on similar ground - good luck! Next up is 'How Can U Luv Me' which again offers up an intro that is pretty dang cool. In fact every song offered on this album has an intro that is so unique and different, which helps to let the mind wonder what is coming up next. I think the strong intros on each song are a very nice touch to this little album. 'Little Blue House' has to be the most polished and easy listening song out of the 9. It has more of a low key sound that finally lets some of that funkiness of the previous songs take a backseat. 'Boy Witch' closes things out with some guitar riffs to start things off and then goes right into some light vocals with some bells chiming, birds chirping, and some more laid-back guitar noises. For me this was a very solid album and one that somewhat caught me by surprise. It is always nice to come across an album that has its own unique sound and style. Unknown Mortal Orchestra are definitely players in they year of 2011 new music.